Flickr is an image and video sharing website where you can upload all your favorite photos and videos for your followers to see. This is a similar website to Pinterest or Instagram where you mainly use photos to attract attention to your customers. Uploading a photo or video that has some subtle advertising tactics included in it can be a great way to use Flickr and could also bring attention to your business from Flickr users. You can add a Flickr icon to your email signature by using Gimmio, or you can do it manually using our free and downloadable icon pack below. Create a free email signature using Gimmio. Go to the Details tab and fill in your social media profile URL's for any of the social platforms that you use. For example, in the Facebook section, put in your Facebook profile URL like "https://www.facebook.com/gimmioapp". This is the address that your social icon will link to when someone clicks on it in your email signature. Select the color and style of the social icons that you want to use. Install your email signature in your email client. If you want to learn how to add social media icons to your email signature manually by editing the HTML code, you can have a look at our guide here. We have prepared a social media icons pack for Flickr that you can download for free and use for your email signature. Our free social icons pack includes many different styles and colors so you can pick what works best for your company. 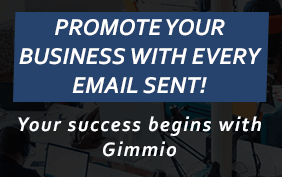 I would like to receive discounts, exclusive offers and the latest updates from Gimmio by email.